Today in Masonic History George Howard Earle III is born in 1890. George Howard Earle III was an American politician. Earle was born on December 5th, 1890 in Montgomery County, Pennsylvania. He graduated from Harvard University. After graduating he worked abroad in his family sugar business. In 1916, Earle enlisted in the United States Navy and served intitally on the Mexican border during the Pancho Villa Expedition (more commonly now known as the Mexican Expedition) during the Mexican Revolution. After the United States entered World War I, Earle was put in command of the USS Victor, his private yacht which was converted to a submarine chaser. In 1918 he received the Navy Cross for averting a fatal explosion. After World War I, Earle returned to private business, largely in the sugar industry. He also changed political affiliations. He was born into a Republican family, although after seeing how the Republicans handled the Great Depression he began supporting President (then candidate) Franklin Delano Roosevelt (FDR). After FDR was elected Earle was appointed as the Ambassador to Austria from 1933 to 1934. He began sending reports back to Washington, D.C. warning FDR about the dangers of the Nazi Party and Nazi Germany. 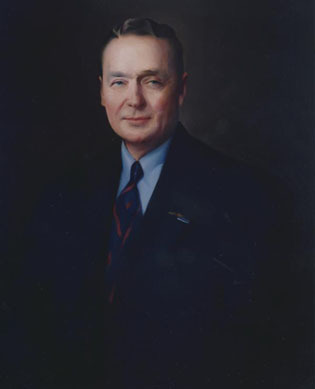 In 1934, Earle became the first Democrat elected Governor of Pennsylvania in over 40 years. Although in the first part of his term he faced a split legislature, in the second half of his term the Democrats made gains and allowed him to push forward his agenda. He pushed forward what was referred to as the "Little New Deal" a series of legislative bills that would change various areas of support within the state government. This included creating a centralized Department of Public Assistance that was designed to ensure uniform allocation of relief payments. He also increased the power of union bargaining rights and eliminated private police forces operated by powerful coal and steel companies. His programs earned him the cover of Time magazine in 1937. Constitutionally Earle could not run for another term as governor. He decided to run, unsuccessfully, for the United States Senate. In 1940, Earle was appointed as the Ambassador to Bulgaria where he made many contacts which would serve him well later in World War II. After America entered World War II, Earle reenlisted in the United States Navy as a lieutenant commander. He remained in Europe as a special emissary to the Balkans. There he put forth a plan to potentially end the war. The German Ambassador and the head of the German secret service secretly put forth a plan for a coup against Adolf Hitler that would have turned Hitler over to the Americans as a war criminal. Earle sent the plan to the American Government and it was rejected. In 1944, FDR assigned Earle to investigate the Katyń massacre where large numbers of the Polish Intellegentsia were rounded up and executed by the Soviets. Earle did a thorough investigation using his contacts in the Bulgaria and Romania and concluded, correctly, that the mass executions were done by the Soviets. At the time the United States was still allied with the Soviets in the fight against Nazi Germany. FDR did not want the inflammatory report to come out and ordered it suppressed. Earle asked FDR directly to allow him to publish his report. FDR gave Earle a written order to immediately drop the matter. After that Earle was reassigned to America Samoa. After the war he served as the assistant governor in American Samoa before returning to the United States and to the private sector. Earle passed away on December 30th, 1974. Earle was a member of Lodge No. 9 in Philadelphia, Pennsylvania.